Organizing Solutions – Finally Remove That Clutter! Have you tried to get organized only to fail again and again? You want so desperately to have things neat and tidy but for some reason, you just can’t stick with it? Have you looked for organizing solutions only to find none that fit your home and your personality? I am sure you have seen books and magazines in stores promising to help you organize your entire home in a weekend and even blog posts that will remove all your clutter in 24 hours. All those promises that seem just too good to be true. They show pictures of neat and orderly rooms and bookshelves full of pretty boxes all adorned with neatly typed labels stacked so perfectly in a row. Sure they look pretty, they are MEANT to look pretty. You think, if my home could just look like that then my life would be perfect. 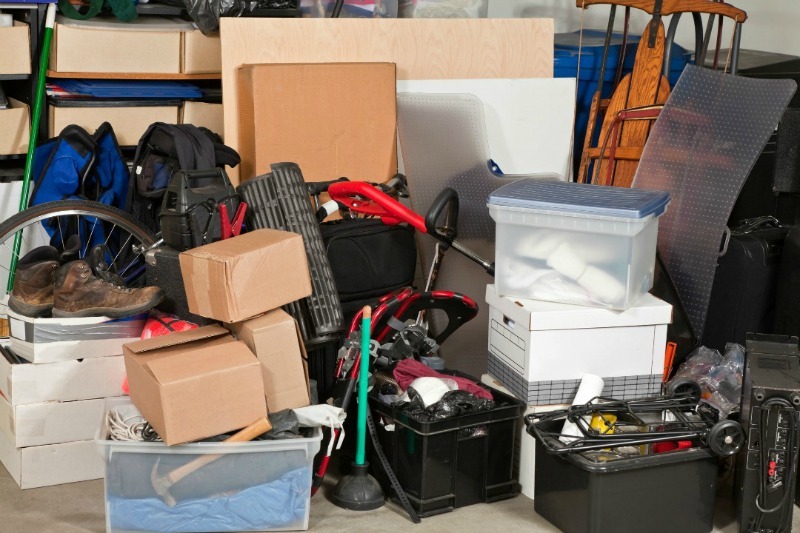 The solution to a clutter problem for some of us will not be found in a stack of pretty boxes. Those boxes are simply not functional but that is what a clutter bug needs. Specific organizing solutions that are meant to solve a particular clutter problem. The issue is when you do a quick purge and a fast declutter it never seems to stick. The baskets and boxes do work for a short while but before you know it you are back to your old ways more frustrated than you were before you started. For most clutter bugs organizing solutions need to be kept simple. If you add in too many steps things become too much effort to complete. Keep those organizing solutions simple so they get done. Listen, we are busy and we all wear quite a few hats during our days and if things are difficult to do, guess what? We are not going to do them. You need to think of your home as a business. A business you are the CEO of. In order to run any business effectively and efficiently, you need systems. 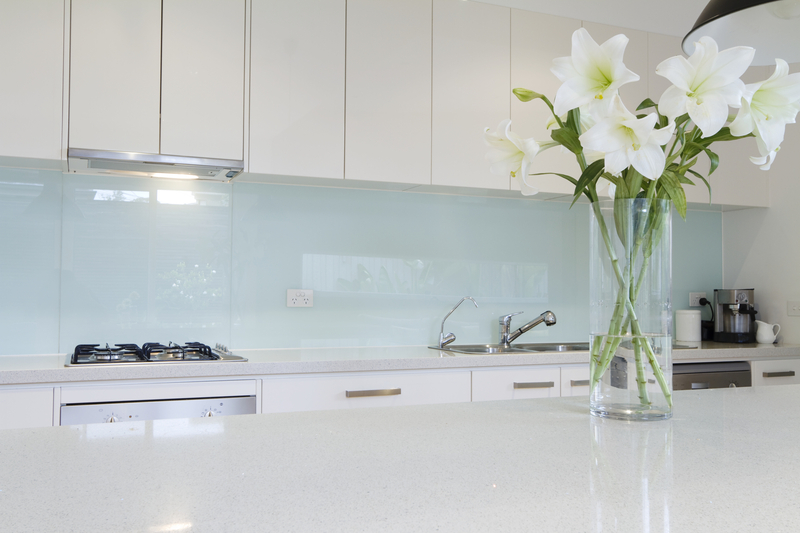 What that means is, for every single thing you do in your home you need to have a method or procedure set in place. A series of steps you perform each and every time you complete a task. 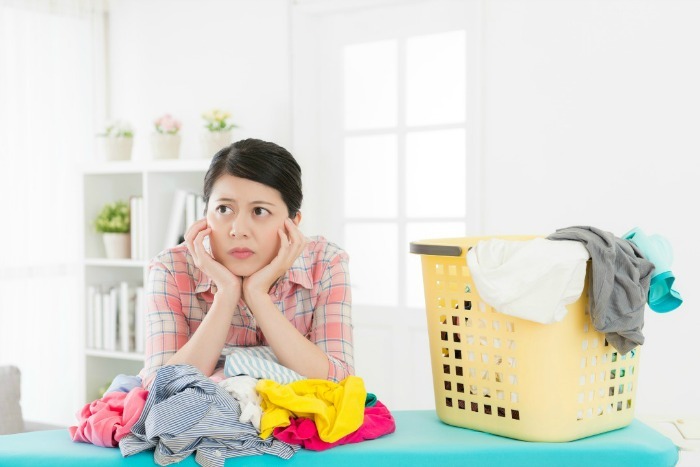 A task such as doing the laundry or paying the bills. By having things mapped out and completed the same way each time, you will have an organizing solution set up that will keep clutter at bay. And guess what? If you implement a system that works, the organizing will take care of itself. When you cook dinner, what are the steps you take each time you cook? Organizing solutions to curb Dinner Time Chaos. This, my friends, is your system, your organizing solution. If you do these same steps every single time you cook a meal, your kitchen should and always will be neat. So, what if it’s not? Then you are missing systems in other areas. Let’s stay in the kitchen. Look around and identify the clutter. Are there papers on the counter? Then you need a paper system. Are there dirty dishes in the sink? Then you need a meal prep system. Clothing in your kitchen? Then you need a laundry system. Is there food left out? Then you need a meal prep system. Just like in a business established systems and procedures are the key to a solid foundation. 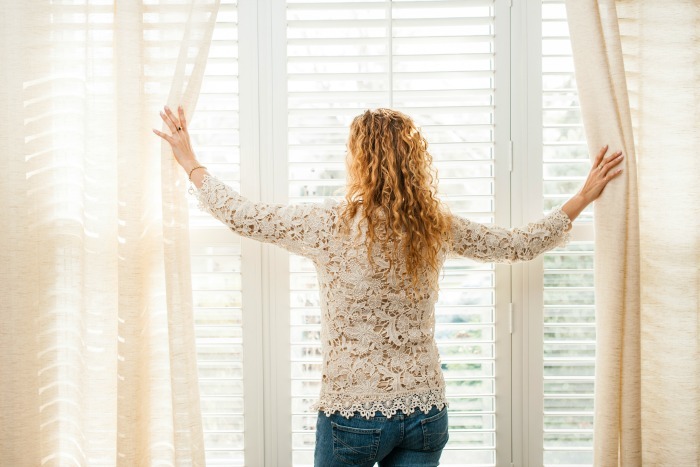 As you begin to treat your home more and more like a business you will find that the systems you have set in place will keep clutter from showing up. Soon your thinking about the things around you will begin to change. Rather than things they are now tools needed to complete a system. And all those extra things? You will no longer struggle to let them go because they provide no value and take up precious space. The same thing applies to your home. As you implement more systems your home will become more organized. Because you will learn to only keep the tools you need to perform a system in that room and that will keep most of the clutter put away. So, for example, your toaster is always found in your kitchen, right? Well, that is because your system for making toast requires you to have that toaster there at all times. It sounds silly, yes, but you get the point. Systems and efficiency go hand in hand. Tools must be kept in the rooms where they are used and nowhere else. Bills always get paid in the office so bills should never be found on the kitchen table where they run the risk of getting buried, forgotten and ultimately not paid. As you learn to think in this way it will become much easier to implement. Let’s look at this a bit deeper. Check dinner menu for the evening meal. Prepare and set the table. Put dinner out and enjoy. Check the menu for the next day meal and remove freezer items if necessary. As you begin a new system, you will learn to simplify so the steps are not only fewer but will cover other systems as well. For example, my dinner system allows me to cook dinner and prepare lunches for the next day all in one task. Only one mess is made yet two rather large chores are completed all at the same time helping me to have more time to spend with family. Also, when you being a new system you will want to follow it specifically step by step. I have found that each time I deviate from my dinner system, my kitchen ultimately ends up cluttered and messy. If I stick to my system, my kitchen is neat and organized, tidy and efficient. Try to be more conscious as you go about your day. Find areas where implementing a system will help things run easier and more efficiently. When you do, take a few minutes to write up a list of steps that you can use to complete your task with little effort. As you begin using your new system, you will see that removing some of the clutter will allow you to complete tasks quickly and easily. The trick of the best organizing systems is to get from point A to point B with as little distraction as possible. And yes, clutter is a distraction. 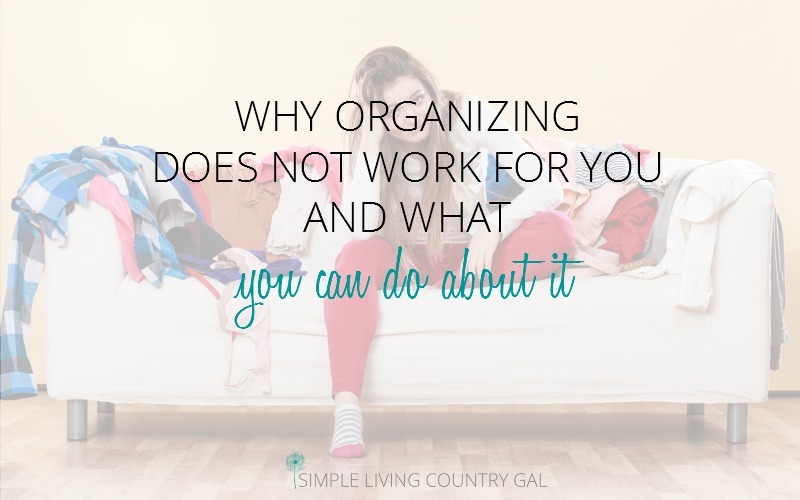 Has organizing been a dream of yours but you have never been able to stick with it? You too may be a systems person. Learn to think of your home differently and run things like a CEO. You will be amazed at how your house will be transformed. I have found that no matter how many systems or storage solutions you have everyone in the home must help in some way or it is useless to try. I can no longer do everything alone and I am tired, very tired. I am so sorry that you are having a hard time getting the family on board. I too have that struggle from time to time. I learned to give my boys their rooms to do with what they wish. Meaning, if they want to be slobs or clutter bugs…so be it. I keep the door closed and I let that go and try not to worry about it. In exchange they have learned to live by my rules in the rest of the house. I set up systems to make it easier for them to do. Multiple hampers for dirty clothes. Catch all baskets in each room to keep items from cluttering up. It does take time and it does get frustrating. Try not to look at the big picture and focus on small victories. 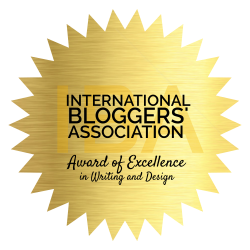 I will be writing more on my systems to help, so stop back often. My sister’s name is Tracey Lynn, too! I have the same issue as you! My biggest issue is having too many things and not enough space for it all. I lost my cabin and family moved it to my house and left it to me. Unfortunately, I became overwhelmed. Then I tried digging out and was finally getting it clean and then mom passed away. Family brought more stuff. I am so ashamed. I don’t let people come over. I work 2 jobs because my son’s company outsourced his job and by the time I get home, I’m too tied to clean it.So, I told myself that it didn’t get messy in a day and am taking baby steps to deal with one pile a day. And I’m trying to instill good habits similar to your system to help myself overcome this task.I have to sometimes remind my son I’m expecting him to do his part. Hopefully, this will work!! If you have any advice, I’m open to suggestions. Wow, that is a lot to deal with especially working two jobs. If you are looking for help and support, sign up for my FREE Declutter and Simplify eCourse. Included is access to my Facebook group that is full of others trying to do the same thing. The support, advice, and tips will help you through the tough times. Baby steps is my motto as well and how I dug out from under a house full of things.